As your Oral Health Dentist, Dr. Adams is aware that mercury vapor, dental infections, and TMJ (bite) problems can have a negative impact on oral and overall health. Because of these concerns, we focus on patient education and strive to remove mercury amalgam (silver) fillings in a safe way. We believe it is important to protect the patient, the environment, and our staff from exposure to excessive and unnecessary occupational exposure to mercury during the amalgam removal process. Doing so is supported by the ADA and other dental organizations. For information about why it’s important to use a mercury safe dentist visit my website http://www.HealthyBodyDental.com or call for a consultation 727-799-3123. Holistic/Biological Dentistry is a philosophy that recognizes that the teeth and associated oral structures are a part of the whole body. Because of this important relationship, we offer a wide range of treatment options. 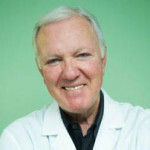 Dr. Adams also takes a unique Whole Body approach to oral health care; combining sound dental science, modern technology, and years of experience with a deep concern for his patients’ physical health and emotional well-being and comfort. At Healthy Body Dental our office also uses the latest in dental equipment, techniques, and technology in order to provide the patient with the best healthy treatment options and services, including:This Whole Body philosophy stresses the use of biocompatible dental materials whenever possible. Dr. Adams also works closely with highly qualified health professionals to assist him in his efforts to return the patient to optimal oral and overall health. His Health approach to holistic dentistry means that he treats the teeth, jaw, and related oral structures, with specific regard to how that treatment will affect the entire body.